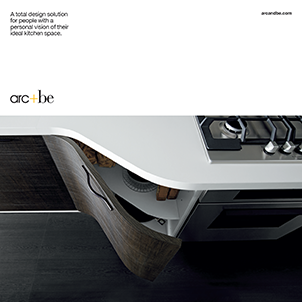 Arc+Be provides a total design solution for people with a personal vision of their ideal kitchen space. Located in the beautiful village of Weston near Hitchin and Letchworth, Arc+Be is one of North Hertfordshire’s leading independent kitchen companies. We understand the pleasure good design brings to everyday life. From materials and colours, to fitting and craftsmanship, to reshaping the interior architecture of your space to make your vision real, Arc+Be knows that great design is in the detail. While offering you a wide range of Handmade & Designer Kitchens, for us ‘bespoke’ means helping you express your vision at every point on the design journey, so we can deliver to your highest standards. We are available to meet anytime, either at our showrooms or at your home, working with you to explore and advise on your design choices. If you enjoy viewing our website and require more information on handmade & designer kitchens near Hitchin, Hertfordshire as well as surrounding areas including Letchworth, Biggleswade, Welwyn or North London, simply get in touch and let us know how we can be of service to you.